Back in 2001, I was looking into manufactured home communities just getting some ideas for my retirement. When I checked online and came across Blair Group communities in Florida, I was very excited because one of their communities was close to my family in St. Petersburg [StrawBerry Ridge in Valrico]. It took me until 2005 to visit StrawBerry Ridge, and after leaving I just couldn’t stop talking about the place. The homes, the amenities … it was like being in a resort. I continued to check online for the availability of homes in the community, then visited two more times, but I wasn't quite ready to make the move and retire. Nevertheless, I still kept daydreaming about one day moving to live in Florida and settling in at StrawBerry Ridge. Five years later I came back, again, to look at a few homes, since retirement was just a few months away. And so it came; I made a decision. Needless to say, I moved here in August of 2010 and never looked back. I’ve never been so busy since moving here. There's just so much to do from lounging at the pool, to playing all sorts of card games, and bingo and tennis, not to mention the many entertainment and social opportunities here from the Halloween and Christmas parties, to the New Year’s Eve dance and St. Patrick’s Day dinner. You name it, we have it. The camaraderie here is just amazing. If you're not having fun, then you’re not living here at StrawBerry Ridge. It’s that simple. Come on down and see what I’m talking about … you won’t be sorry! I always knew I wouldn't spend my retired winters in the cold mountains of upstate New York, but rather in place like Florida. I didn't consider moving full-time to Florida, but was thinking of having more of a seasonal home there. This [Tampa] area has everything from beaches, fine theaters, professional and collegiate sports, great medical care and universities. Cultural vibrancy that surrounds college communities and that love for learning, accompanied by fabulous weather is what we've grown to love! When my husband and I first came to StrawBerry Ridge in 2009, I was delighted to learn of and experience the amenities and activities here. I loved the pools, fitness center, ceramics shop, clubhouses, as well as the many resident clubs and organizations … and my husband felt right at home in the fully-equipped Wood Working shop. As we toured, we saw active people everywhere … on the tennis courts, in the gym, riding bicycles, walking dogs, and all of them waived or said "hello" as we passed. The homes were just lovely and nothing like I imagined a manufactured home to be. We made the move and were quickly welcomed into the community with a number of friendships. We both became active in several clubs and organizations and found ourselves busy and having fun doing things we loved. We were enjoying the social events, including dances and parties, and it was early in our second winter here that we realized, "This is where we want to live full time!" StrawBerry Ridge is a place where we could maintain a lifestyle surrounded by friends while enjoying our community as well as the surrounding [Tampa] area. We haven't regretted for a single moment our decision to purchase our home at StrawBerry Ridge. We love our home, our neighbors, the many friends we've made, and, of course, the resort-like atmosphere. If you want to have a beautiful home in a community with great people and a great lifestyle, we urge you to come join us … we'd love to meet you! After serving 20 years in the U.S. Navy, as well as having a civilian career that required my family and me to move several times, I have found living in StrawBerry Ridge to be a complete pleasure. The community offers so many enjoyable activities and opportunities for hobbies and relaxation that one must try to juggle his time just to enjoy doing nothing! My special interests involve working in the Woodshop, which offers a fully-equipped shop, in addition to singing with the StrawBerry Singers, which hosts two concerts each year for the community. I also volunteer my time as editor of our community newsletter, Strawberry Toppings. Even with all that, I still have time for a nap most afternoons. … I wouldn't leave this place for anything! 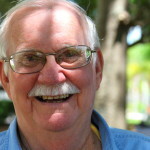 When I retired in 1997 from a career of journalism with the Tampa Tribune, I was looking to live in community with quality housing, social and recreational amenities, and a friendly atmosphere all at an affordable price. Having been exposed to StrawBerry Ridge on a number of occasions throughout my career, my decision to become a resident here easy to make. Not only bolstered by the quality of homes, I was impressed by the amentities, which include two swimming pools and clubhouses, planned activities, entertainment and social events, and close proximity to a major shopping mall, hospital and other medical facilities. The bottom line is … StrawBerry Ridge is a great place to live. I know—I've lived here for 16 years! After moving to Valrico, I met a few people who lived at Strawberry Ridge and decided to check it out. I had lived in an area where most people who were employed were younger. Following Strawberry Ridge I observed how lovely the grounds were maintained. Residents had beautiful yards and were very friendly. My further investigation showed there were multiple activities and programs available every day of the week. There is a full service bank right on the property! But what sold me personally were the two swimming pools and hot tubs. The indoor pool is heated year round. I found the manager, office and sales staff very courteous and helpful. When you think about retiring, you don’t think about coming home but that’s exactly how I felt when I came to Strawberry Ridge. It’s a place with friendly neighbors, organized and convenient activities and facilities and responsive management. It’s not just a place to live, it’s a community. I’ve lived at Strawberry Ridge for four years and counting. With one son in California and one son always traveling for business, I wasn’t always certain what my quality of life would be when I moved from Chicago, IL to Valrico, FL. As it turned out, I had nothing to worry about. The first sign I was home was when my neighbor Karen DeGraaf came over to welcome me to the community! Now I have three wonderful, best friends, that I would have missed if I didn’t live here. There are so many things to do right in Strawberry Ridge. For my active needs, there’s an indoor and outdoor pool (the outdoor pool is my favorite! ), a Fitness Center, an Activity Center, a Clubhouse, tennis courts, shuffleboard courts, billiards, a ceramics shop and a woodshop. For times when I don’t want to go far, there’s a full service bank and library right in the park. It’s a real convenience to have it so close. My absolute favorite part of living at Strawberry Ridge though has to be the Strawberry Ridge Singers and the other entertainment they plan. The real test of a community is when the unexpected happens. It hasn’t been often that I’ve needed help, but when I have, the Strawberry Ridge manager Jim responded any time I called him. There’s extra security in knowing that there’s on-site help for unforeseen circumstances. All in all, I can’t imagine a better place to live. I’ll see you around the park! Our love affair with Strawberry Ridge Both Al and I were newly retired. Al was the Plant Manager of an Oil Blending Company and I from the Merchandise Records Department of the Montgomery Ward Store in Hammond, Indiana. Having spent two winters with our daughter and family in California we decided to head to Florida and give the children a break so as not to wear out our welcome. We had a friend that lived in Plant City, Florida that was passing the community and stopped by to inquire about a rent in the fall of 1989. There was one unit left and upon checking the home she called to give us the good news. We in turn called Strawberry Ridge and made the arrangement to arrive on January 1, 1990. So, sight unseen we headed to Florida leaving the cold weather and snow behind us for the sunny south. Previously we had vacationed on the west coast of Florida so the territory was very familiar to us. When we drove into the Park we were pleased with the choice our good friend had made. We soon settled into the daily routine and met wonderful neighbors that have become special friends, like family. Our days were filed with swimming in the indoor pool, shuffleboard three mornings a week and coffee and Games, Dances and the Kitchen Band. In the free time we traveled to other areas and parks with our new found friends. Many miles were traveled but we always returned to Strawberry Ridge still being our park of choice. The west coast, Tampa area has always had a lot to offer. Al quickly made many male friends and they formed the Veteran’s Club. Time went so very fast that winter and many hugs and tears were shed when we had to head north that April. We were so lucky to have made friends with a couple from our home state of Indiana the previous winter. They were not able to winter in Florida the following December so they rented their house to Al and I, on the same street we lived on earlier in the year. They allowed us to take possession a few days to enable us to attend the New Year Eve party in the Clubhouse. Now we returned to old friends and more new found friendships as the park had grown in the course of the year. This season the men formed the Woodshop with the assistance of the Park, General Manager, Chuck Neal. The Strawberry Singers were put into action and is still going strong. We sing several times a year for the Veteran’s Hospital and local rehab facilities. Upon arrival, we were greeted by a very friendly office staff and taken on a leisurely, informative golf cart ride throughout the community. Our tour of Bear Creek revealed a landscape of stately oaks, tall pines, and an amazing variety of palm trees. The well-maintained lawns, shrubs and flowers told us that the residents took pride in their neighborhood. The homes were also very neat and attractive. Now, for the rest of the story! Our Strawberry Ridge neighbor was getting married and moving to another area in the Park. We bought his house in May 1991 moved down permanently in September 1991, and became bona fide residents of Strawberry Ridge. In the fall of 1992 we bought a brand new house and moved in on January 2, 1993 with the help of our new found friends. Nineteen years later we are still living “happily ever after” on Choo Choo Lane in Strawberry Ridge. In the early 1990’s my wife and I began contemplating my upcoming retirement. After much consideration, we decided to select a retirement community. In considering our options, we asked our attorney to develop some information regarding Strawberry Ridge. His report, along with our own research, led us to select a large four (4) bedroom manufactured home, built to our specifications, which we placed in Strawberry Ridge. So, in 1993 we moved into our new home. We enjoyed our residency in “The Ridge” for thirteen (13) years. Then, we decided to downsize and move into an apartment. However, we found apartment living was not for us and a desperate phone call went out to Jim Glazebrook, General Manager, at Strawberry Ridge. 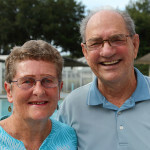 We said to Jim, we loved living at Strawberry Ridge and want to move back! D you have anything available? Fortunately, one new house was available. My wife fell in love with the house when she walked through and did her “wifely tour”. We now have a two (2) bedroom home, which is just the right size for us! Strawberry Ridge is a well maintained over fifty-five adult community with an excellent reputation as an outstanding example of what retirement living is all about. We have found that the owners and management of Strawberry Ridge are top quality! There are so many varied choices of activities, one could never get bored. On the other hand, if quiet solitude is for you, that also, can be found at Strawberry Ridge. We made a mistake moving from Strawberry Ridge after our thirteen (13) years of enjoyment. But, we have now corrected that mistake and are back to the place that, to us, represents true retirement living. Six years ago I had the good fortune to discover Strawberry Ridge and chose it as my home. 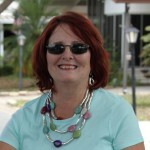 Originally, I’m from NYC, but, thirty-one (31) years ago, on an impulse, I decided to visit Florida. Sarasota was where I lived for the first twenty-five (25) years and then, having discovered Strawberry Ridge, moved here. In six (6) years of living at Strawberry Ridge, I can honestly say I have never regretted my decision! I am surrounded by a large group of very friendly people and plenty of activities. I use a scooter to get around. One day while riding to the pool, I had a tire go flat. I was just about there, so, I rode the machine into the pool area. A man I didn’t know came over and asked me if I had tools to fix the flat? I said, no, and he told me to sit tight and he would go home and get his. He came back, as promised, proceed to take the tire off, and then, along with a new one I had delivered, went to a local tire store, had the new tire mounted, returned, put the tire on for me and I had my badly needed wheels back. Above and beyond the call of duty! 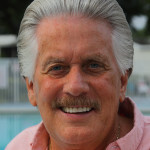 Another time, I was on the street near the indoor pool area, Jim Glazebrook, the Manager, was happening by, and I mentioned to him, how handy it would be to have a ramp, instead of the stairs. A week later the ramp was installed! These are just two (2) instances in which I was helped. I could tell you of many more! The people here are friendly and generous, resident or staff. 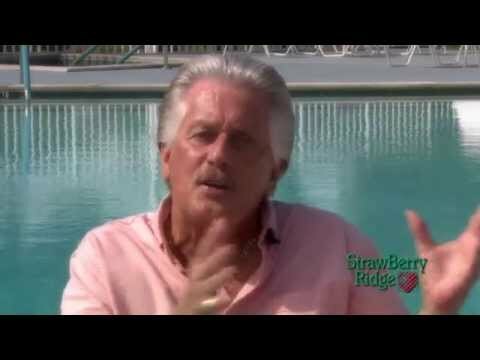 Strawberry Ridge- Where do we begin? We have lived in the area since 1989, coming from Berwyn, IL (a suburb of Chicago). We were brought to the area by a job offer with Time, Inc. for Barb. I had semi-retired. Not being familiar with Mfg. homes, we bought a site built home in Seffner and immediately figured we just had to have a pool. For the next 6 years, we lived on a large corner cul de sac lot in a 2200 sq ft home with our pool and proceeded to maintain the lawn, landscaping, pool & home during this time. We had been through Strawberry many times, riding and looking around when one day ... we got a brain storm!!!!! Why are we doing all this work to maintain our home, etc ... especially when we were getting ready to retire??? Dah!! So ... we went looking at model homes and found a great Palm Harbor and soon Tom Cain was putting our home in ... within six weeks. When we moved in on July 1, 1995, we went across the street and met our first neighbor ... Joan was watering her plants and remarked “How hot it was”, I took her hose and sprayed her and from that point, we were the best of friends. There are so many “Good Times” over the 14 years it is hard to elaborate on a specialty. Friends and neighbors are the one of the best parts of Strawberry. Amenities abound with anything from Aquatics, the fitness center, ceramics, actually pretty much anything from A to Z. IT’S HERE!!!! We joined with other residents The Citizens Academy in conjunction with law enforcement ... The C.E.R.T. group (which has to do with emergency, should a disaster occur) helping others. We wouldn’t change it for anything. We like Strawberry, it’s our home! In 1997 my husband and I started planning for our retirement date of 2000. We usually researched things well in advance, so I started looking on the internet for a retirement place in Florida. My parents already lived in Florida, and we always enjoyed coming down to visit and hated when we had to return to the winter up north. Also, both of our sons had accepted jobs with a company in south Florida. That was another plus. I started searching for a place that would be close to family and things to do. I researched manufactured-home living since that would be a new experience for us. While doing my research, Strawberry Ridge jumped out at me. So many things about it were calling our name! It was in a rural setting near strawberry fields, close to major highways, just outside of Tampa where there was an airport, hospitals, and many cultural things to do. There were golf courses, dog tracks and professional ball teams nearby and many things that would interest both of us. It was close to family but not on top of them. After reading about Strawberry Ridge, I just knew that we’d have to visit there and see if this looked as good in person as it did on the internet. It did! I had done lots of research on the local area and even contacted various people in the area. All had wonderful things to say about the community known as Strawberry Ridge. One local realtor even called it a “five-star community!” We spent a couple hours there visiting homes, looking at the layout, etc., and told the rep that we would be back in two years when we both could retire. We lied! We were so excited about Strawberry Ridge that we went back up north and immediately investigated how much of a penalty my husband would take by retiring two years early. From there, everything fell into place for us, and I knew it was meant to be. We contacted the Ridge and chose the lot over the phone. We spent the next months researching the different homes and floor plans before flying down to order the house. And so it happened that two Cheeseheads from Wisconsin left behind the only life they had known for 55 years and headed to Strawberry Ridge in 1998. As we pulled into Strawberry Ridge on that foggy morning with the U-Haul, immediately two neighbors came to help us unload it! I later learned that they had just finished helping another couple down the street that had moved in a couple hours before us! And that is what you can expect in Strawberry Ridge. We moved here and chose this lifestyle so that we would be able to meet lots of people and have many activities to go to. We immediately started going to all the activities in The Ridge and made so many new friends. And for those times when you would just like some quiet time, you don’t have to go anywhere. People respect your privacy. I was afraid after living up in the woods with five acres surrounding us that it might be difficult to live with people so close to us. Not so. Strawberry Ridge has an Activity Center, Clubhouse and a new Fitness Center (with a fully equipped workout center and an aerobics room). In addition, there are two Swimming Pools and Hot Tubs (inside and outside), Ceramics Shop, Wood Shop, Shuffleboard Courts, Tennis Courts, Library and even a Bank on premises. There are so many activities going on that you won’t be able to do them all. Even though we are located just outside of Tampa, we don’t have to drive into Tampa if we don’t want to. There are so many things available right in Valrico and Brandon. My husband passed away this year, and I was reminded of the reasons we chose to live in Strawberry Ridge. The love and support of all our friends helped immensely. Now that I am alone, I’m not alone. I have many friends and activities right here in Strawberry Ridge. I wouldn’t ever consider living anywhere else!